Please select options for RedRock 4x4 Wire Mesh Grille - Black Stainless (07-18 Jeep Wrangler JK) at the top of this page. 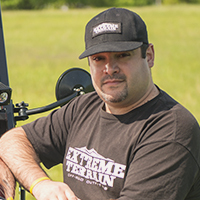 I'm Ryan from ExtremeTerrain.com. This is my review of the RedRock 4x4 wire mesh grille that's available in both black powder coat and a polished stainless steel version. This grille will fit all 2007 to 2016 JKs. However, it's important to remember that in 2016 Jeep did change the grille of the Sahara and the Special Edition Jeeps, so this will not fit on those. This mesh grille is for those of you who want to completely change up the look of the front of your Jeep while still maintaining that iconic seven-slot look. This will also provide some protection against stone throws and other debris coming through the grille and damaging your radiator or your air conditioning components. This grille does require some drilling to get it installed, but it fits well and it's less expensive than some of the other versions on the market. These wire mesh grilles are made from a stainless mesh, which means they're going to be really durable and hold up over a long period of time whether you decide to go with the black powder coated version or with the polished version. These grilles are made from one piece of stainless mesh that is molded and formed to fit into the slots from the back of the grille. All of the brackets are welded in place. Even though this does require a little bit of drilling, they'll install really firmly and you won't have to worry about it moving around. To get this mesh insert installed on the Jeep, the first step is to remove the grille. You'll do that by removing the six plastic clips across the top of the grille and then just pulling to release the clips on the bottom. Once you have the grille out, you can install the insert from the back side. Make sure everything is lined up properly, and then mark for the holes you need to drill. Once the holes are drilled, you'll reinstall the mesh with the included hardware and put the whole grille back on the Jeep in the reverse order of how you removed it. The whole installation process shouldn't take you more than an hour. You won't need any specialty tools, although you will need a drill and a drill bit and a socket set and a Phillips head screwdriver. There are grilles on the market that are $200 and even close to $300 for a grille insert, not even for a full grille replacement. When you consider that, I think this is really fairly priced for what you get. It's a high quality piece that fits really well even if it does require a little bit of drilling to get it installed. If you're looking to change up the look of the front end of your Jeep, add some protection to your radiator and you're okay drilling a couple of holes in your grille, I would recommend this stainless grille especially over a lot of the plastic grille inserts that are on the market. That's my review of the RedRock 4x4 wire mesh grille fitting all 2007 to 2016 JKs that you can find right here at ExtremeTerrain.com. Aggressive Styling. Protect your Wrangler with the aggressive styled RedRock 4x4 Stainless Wire Mesh grille in black. Ideal for daily drivers and off road enthusiasts alike, this JK grille insert features a black finished mesh design to give your Wrangler a custom look while providing a layer of defense to help prevent damages from trail hazards and road debris. Superior Quality. This Wrangler mesh grille is crafted from quality stainless steel to ensure durability and reliable performance as well as style no matter where you venture. Each grille is finished in chrome to prevent corrosion and wear. Installation. Drilling is required to install this mesh Wrangler grille and all the necessary hardware is included for a perfect and secure fit. Application. The RedRock 4x4 Stainless Wire Mesh grille in black is designed for use on 2007-2018 Jeep Wrangler JK and JK Unlimited models. Will this Mesh Grille fit a 2017 Wrangler Unlimited Rubicon Hard Rock Edition? Hello! The RedRock 4x4 Wire Mesh Grille will fit the Hard Rock Edition. Will this fit a 2016 75 yr special edition model (1941 4 door )? No, the RedRock 4x4 Wire Mesh Grille will not fit the following models: Sahara (2016+ only), Sahara X, Rubicon X, Polar Edition, Dragon Edition, Altitude Edition (2015+ only), Back Country Edition and 75th Anniversary Edition. Hello! Yes you can definitely paint this mesh grille if you would like! Do you feel it reduces any air flow to the engine/radiator? No, theRedRock 4x4 Wire Mesh Grille should not reduce air flow to the engine/radiator. Will this fit my 2015 4door Wrangler Sahara Sport? This will fit your vehicle, only 2016+ Sahara models incompatible with this grille. The RedRock 4x4 Wire Mesh Grille will fit a 2017 Rubicon and should not rust. This will not fit the Rubicon Recon. As this would have a perforated design it will require the current bezels to be removed to fit correctly on your model. This could be cut to allow access for a hood lock, but you will need to take care to avoid bending the grille, and you will want some black paint to touch up the cut area as well. This will fit the Willy Wheeler JKs. The RedRock 4x4 Wire Mesh Grille would need to be trimmed for use with a hood lock kit. No, the RedRock 4x4 Wire Mesh Grille will not be compatible with your Recon due to the special edition grille found on that model. Unfortunately this grille insert will not fit the 2015 altitude edition. The RedRock 4x4 Wire Mesh Grille will not fit the 16 and newer Sahara Jeep Wranglers. Unfortunately this mesh grille will not fit the 2017 Wrangler Sahara model. We will not have any mesh inserts for the Sahara models that will fit due to the Sahara models already having an insert from factory. Very happy with look and purchase! I love the product but the two outer bays are a little off. Looks fine, but could have been a better fit. Also, the screws provided for the top of the grill had to be shaved down to fit over the radiator. Totally loved it, gives my Jeep a very clean look. I definitely recommend it. Easy installation and looks great! Changed the look of my Jeep and was happy with installation process and the instruction details. Just what I was looking for. The mesh is subtle enough were most people wouldn't even know it is there. The black mesh blends real nice with the grille, hides the radiator, etc. Haven't caught anything in there yet, but I think it will add a bit of protection in front of the radiator. Easy to install, a little bit of drilling into plastic is no big deal to me. Looks great! And actually is functional. Idk why it doesnt come factory. I kept getting a musty smell whenever i put my heater on after it would rain or snow (despite getting new air filters). Not sure if others have experienced this.. but this grille has solved that issue! Guess it gives enough protection keeping the air filter from getting wet. So it cleans up the grill great. Feels very sturdy and went on easy. I would suggest putting on before you put on a winch. Mine was a tight fit since my winch was on already. And way worth the cost. This grill is very solid and installs easily behind the stock grill. A necessity to protect your radiator from flying rocks and other debris while on the road or trail. It should be a item that is installed at the assembly plant. Took less than thirty minutes to install with tips from other reviewers. The mounting brackets aren't aligned the best, but you can make it work with a little force. It's a fair price for what you get and it adds a tasteful appearance to your grill. Fairly simple to install. Slight modification necessary. Not too fond of way the top mounts are attached with screws through grill cover leaving the bolt and nut resting on top of radiator. This makes the cap bulge where the gromets are snapped back in to hold it in place, but I managed to make it work. Once all assembled it looks good. Mesh grill wasn't difficult to install. The mounting brackets were a little out of place which made installing the screws more difficult then it should have been. Directions were good. Fit well. Looks great. My only recommendation is to put the bolts facing up on the top of the grill. Arrived quickly! I repainted it to match the color scheme, and installed in just a few minutes. Major improvement! The mesh grille really finishes off the front end. It was easy to install, an extra pair of hands would make it easeier to hold the grill while marking the holes to drill. All in all great purchase. Super with this grille so far, it's only been on for a couple days. Installing was easy and didn't take much time at all. Looks great and is functional!